I love the rise of the blanket cape this Autumn/Winter. 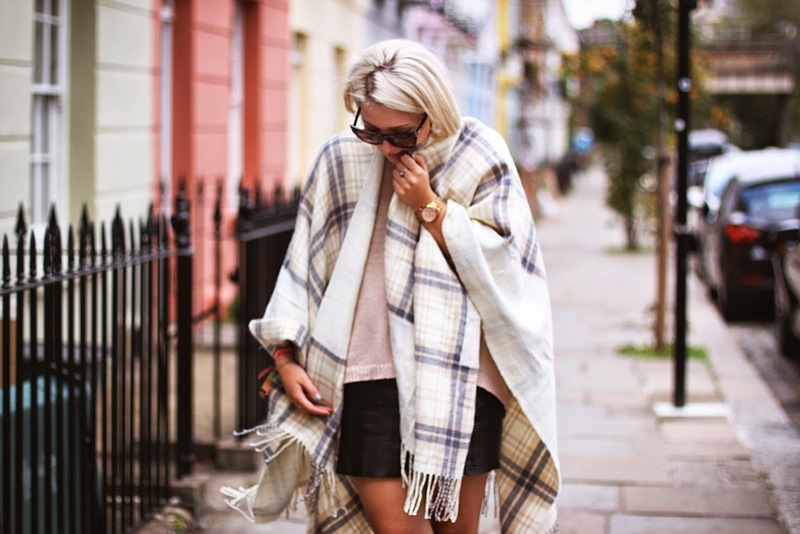 Cosy, practical and easy to throw-on, this checked Asos cape holds a subtle check with tassels and looks great paired with my suede Zara knee-highs from last season - but be careful it doesn't like you've just thrown a picnic blanket over your shoulders! Can't wait to get my hands on a blanket cape! So up-to-date. Also, has someone blow dried their hair...? Looking extremely beaut!